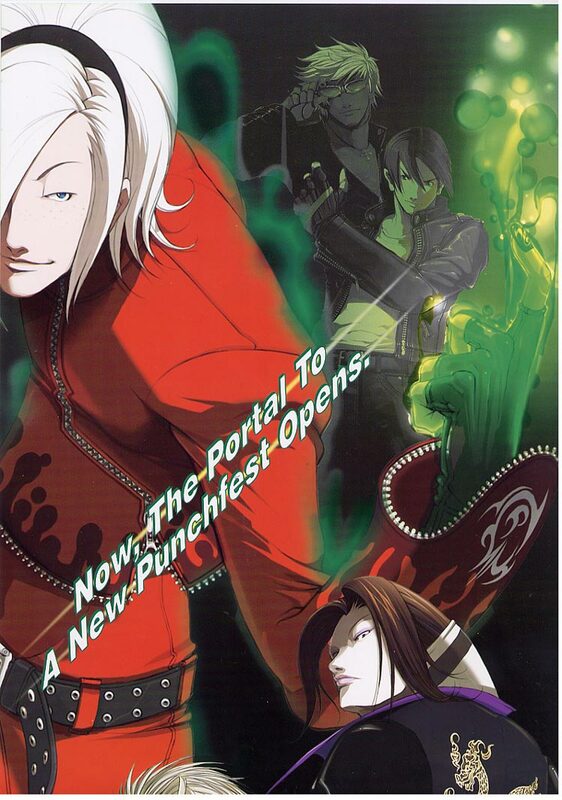 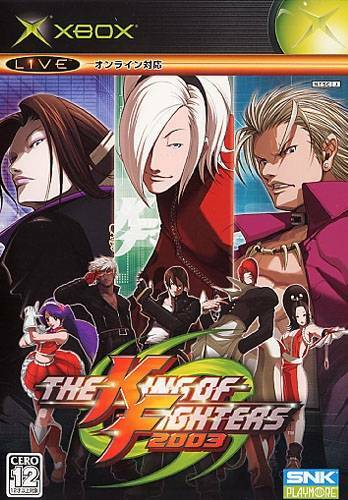 STORY: KOF 2003 begins a new story arc following the conclusion of the NESTS arc in KOF 2001. 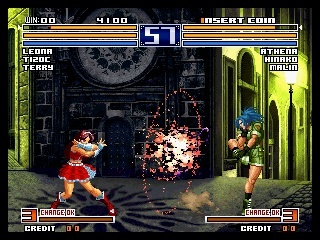 This story arc centers around a new lead character named Ash Crimson. 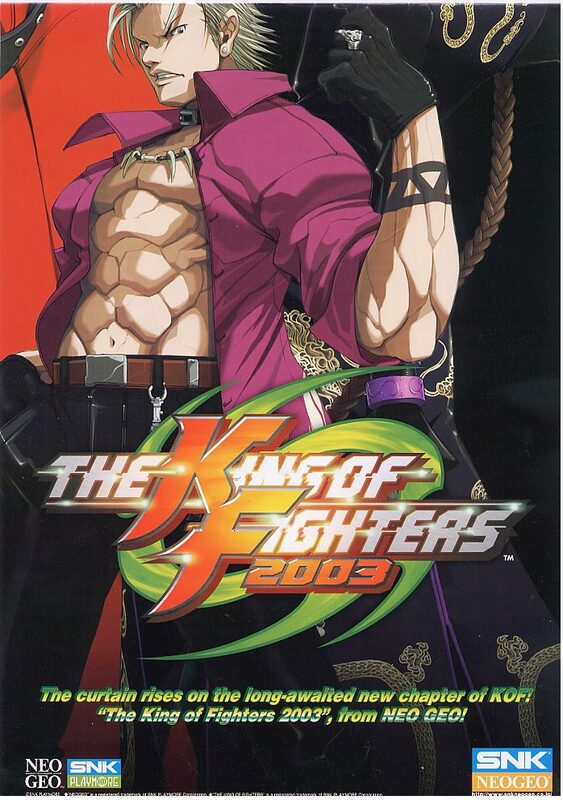 Unlike the previous protagonists of the series, Kyo Kusanagi and K', Ash is a villainous character with a self-serving agenda, seeking to steal the powers of the Three Divine Vessels for himself. 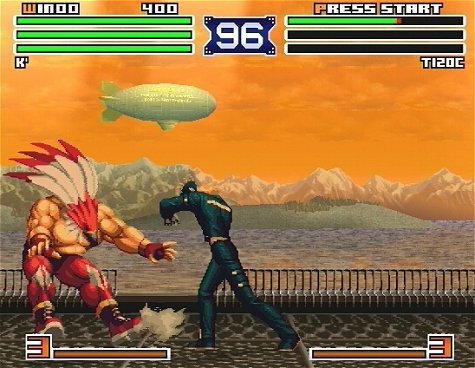 REVIEW: The tenth installment of the series, The King of Fighters 2003 redefines the classic, tried-and-true 2D gameplay of the series with the all new "Multi-Shift" feature (AKA 3-on-3 tag team gameplay)! 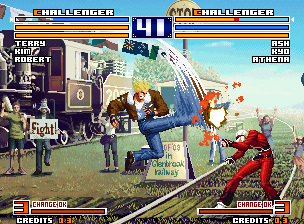 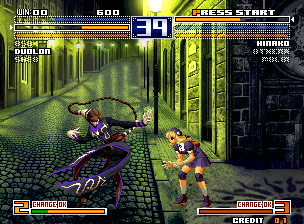 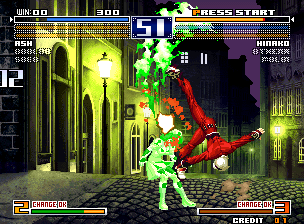 Along with this dramatic change in gameplay comes a fan-approved selection of new characters, including some epic crossovers from one of SNK's all time best 2D fighters, Garou: Mark of the Wolves! 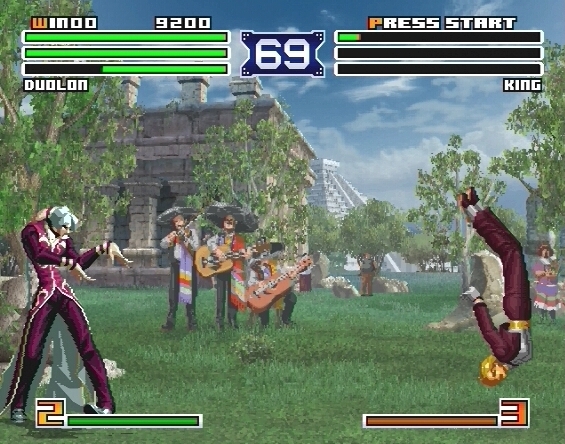 Tizoc & Gato definitely make awesome KOF characters and thankfully they play just like they do in Garou. 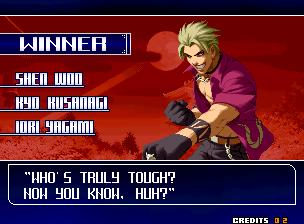 Great new selection screen... 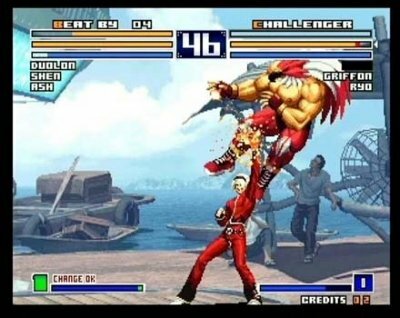 Welcome Garou! 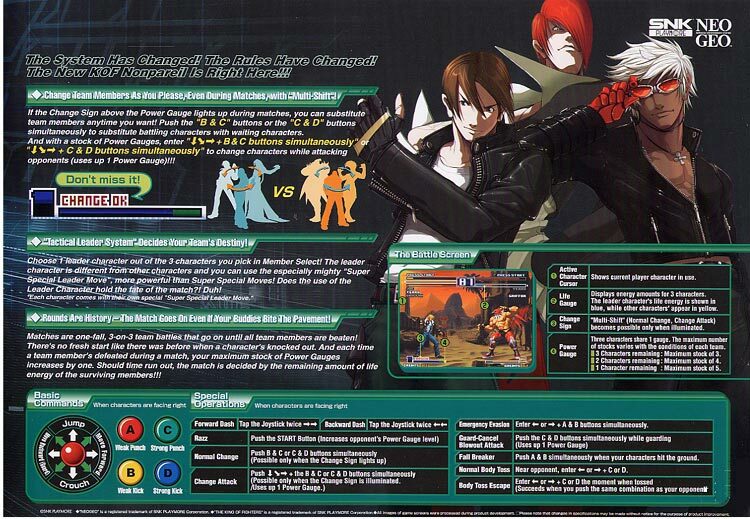 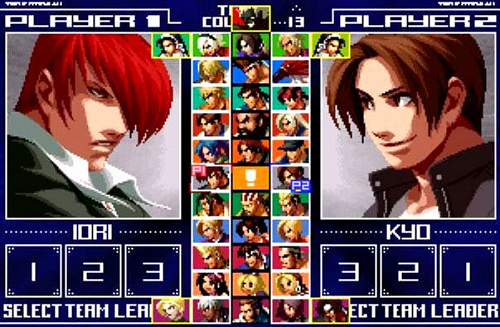 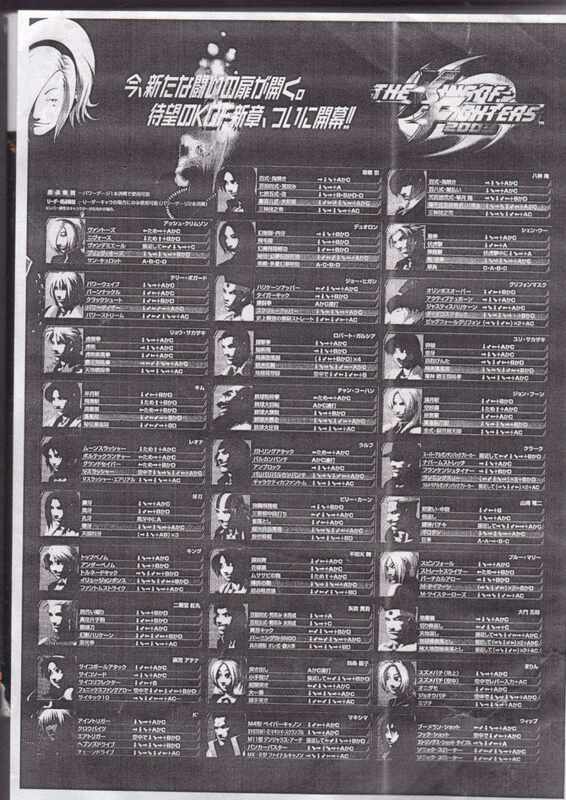 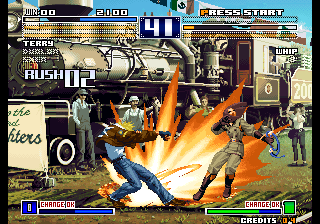 KOF 2003 also introduces the Tactical Leader System, in which one team member is designated by the player as the "Leader". 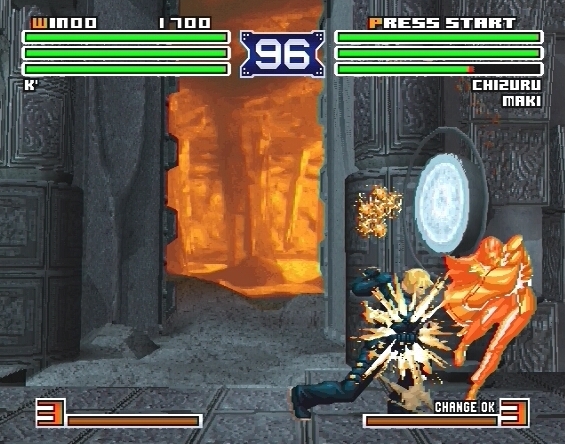 The leader of each team is granted an exclusive move known as the "Leader Super Special Move" (in addition to their regular Super Moves). 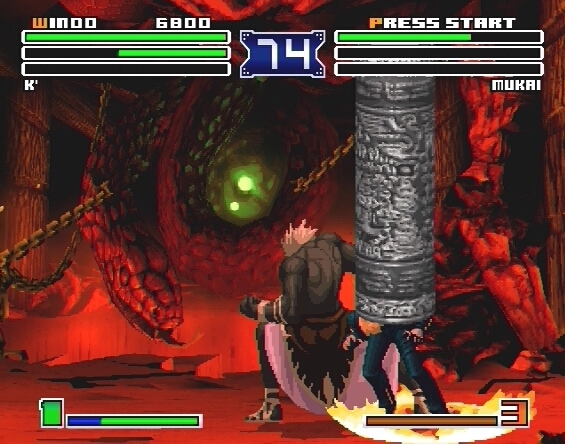 These moves usually require two Power Gauge stocks to perform. 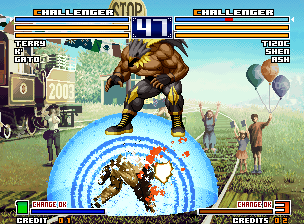 The Tactical Leader System definitely adds some different strategy to the gameplay, but it's slightly disappointing that only one of your team members can perform their strongest super move. 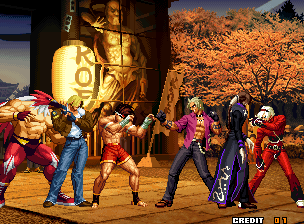 One thing's for sure, it makes you want to use a lot of different teams. 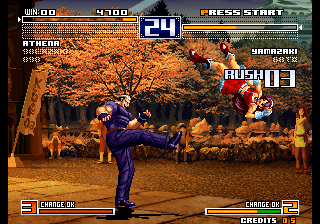 The "old school" sprite-based graphics have undergone a slight, yet significant improvement. 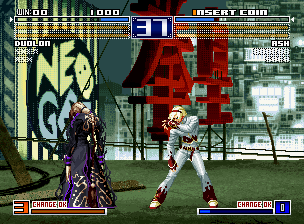 First off, the backgrounds show off a lot of detail and are well designed in general. 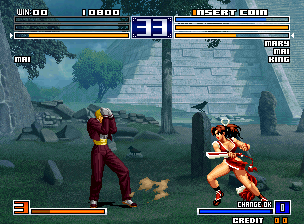 They're actually some of the best looking backgrounds of the series. 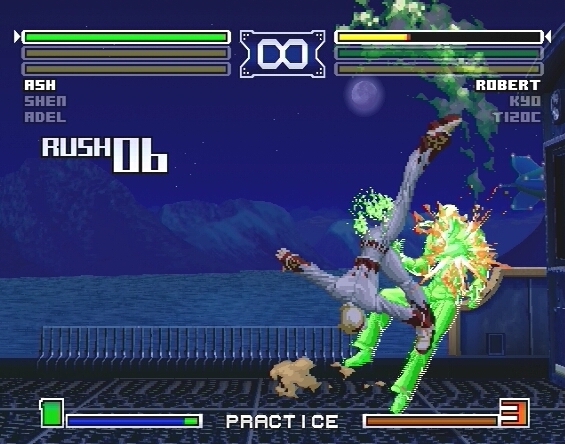 The super move effects have also been revamped, making them appear more epic and more painful than ever before. 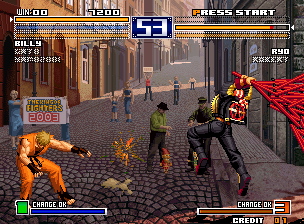 Several classic characters have also been given new animations, stances, and new even outfits this time around (such as Terry Bogard, now sporting his badass threads from Garou: MOTW). 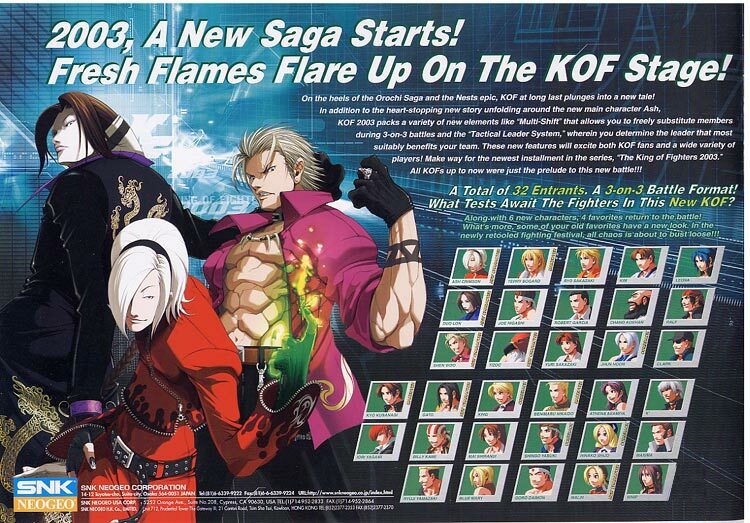 Even with the "dated look" that returning players might expect, KOF2003 at least manages to look like a new KOF game. 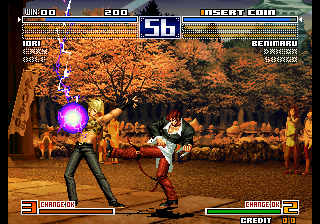 Although the animation and sprites aren't nearly the most impressive we've seen in recent times, SNK's classic franchise looks, sounds, and plays better than ever. 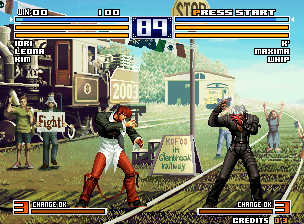 KOF2003 is definitely a worthy sequel on all levels.